I am a coach, but I am not even clear on my values, how can I help a client be clear on theirs? This is a question that came out of a Coaching 101 class last week from a student in Singapore. This is an individual who has been working for the last 25 years in HR and has been looking at making a break into the coaching industry. 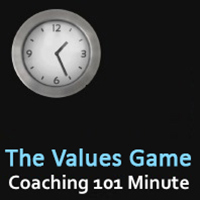 I wanted to bring this question into our Coaching 101 Minute recap this week because it is at the core of coaching, understanding your values. What do you value in life? What in your world has the most importance to you? I focus on my client’s values in the very first session. The understanding of our values is the building block, the foundation, to everything that we create in our lives. We need to look at our values to make sure they have not been imposed upon us from an outside source. To be successful you must be living your own values and not following someone else. Your values can change over time. This is actually great because as you grow, your values will begin to grow as well. When we make decisions that are not based on our own values, the outcome feels empty. We may try to ignore this and to suppress the negative feeling, but his leads to a falling out of alignment with who we really are. To live in a strong, supportive way, you must live by your values. You cannot have a house without a foundation. Know yourself, dig deep if they don’t appear easily. Think about your actions, the decisions that you made to get you to where you are today. What guiding principles do you live by that create the choices you make? This is an exercise that our students use to first understand themselves and their own values, and then use it with their own clients. Attached is a direct link to download the actual worksheet “The VALUES GAME”. 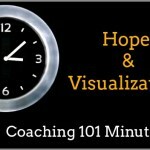 As you read the following set of concepts make a note of what resonates with you. Look through that list again (on the worksheet) and select your top five values and define what each one means to you. This could be a beautiful start to having a better understanding of who you are, what your values are, and how your life is built. Understand your foundation. If you want to learn more about programs offered here at International Coach Academy or want to learn more about your values and becoming a coach, come along to an upcoming Coaching 101 class. It is a free offering here at International Coach Academy.